Racism is a subject that is difficult to talk about, uncomfortable to confront, and absolutely necessary in addressing the work that we do regarding food access here in Austin. Because our City has a difficult history of race-based discrimination, we as a non-profit have the very difficult task of not only dealing with the ramifications of this history, but finding ways to actively undo the systems that allow discrimination to continue. 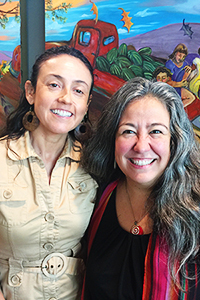 Over the last 4 months, staff at Sustainable Food Center have been participating in racial justice trainings led by Dr. Martha Ramos-Duffer and Paula X. Rojas. Continue reading to learn more about this crucial and ongoing training program being conducted at SFC. 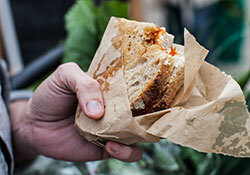 Like SFC Farmers' Markets on Facebook! Summer Melons: Looking for sweet summer melons? 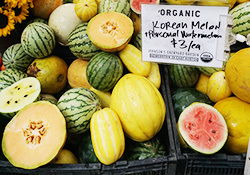 Tecolote Farm has delicious and flavorful canary melons! They also have other wonderful summer produce items like summer squash, okra, cherry tomatoes, Chinese long beans and pepper. All Tecolote produce is certified organic. 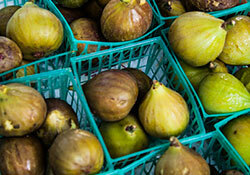 Sweet Figs: Go fig or go home with tasty figs from Urban Roots! They have sweet figs that are perfect for canning, adding to a sandwich or anything else you can think of. Honey: Looking for a sweet addition to your tea or coffee? Bee sweet and grab some locally made honey from Round Rock Honey - they have several size options and a natural beeswax lip balm. 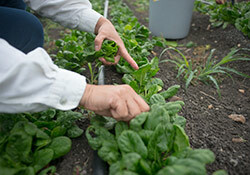 Our gardening classes are taking a break for the summer. New classes will be announced in August. Our cooking classes are taking a break for the summer. New classes will be announced in August. Stay tuned for our full list of classes on our Public Cooking Classes webpage.